Scientists measure tobacco and smoke constituents for a variety of reasons. There is a variability associated with measuring these constituents due to analytical factors such as methodology, instrumentation, temporal changes and product manufacturing factors such as raw materials, equipment, and temporal changes. In order to make science-based decisions regarding tobacco and smoke constituents, the scientific community needs to fully understand all aspects of the variability associated with these measurements. 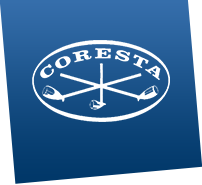 Historically, CORESTA has focused extensively on analyte variability (i.e. r&R determinations) due to analytical testing but has not addressed analyte variability due to agricultural factors or due to factors related to commercial cigarette production. The Cigarette Variability Task Force (CVAR) was therefore formed in 2014 with the objective to focus specifically on understanding commercial cigarette variability through testing of select constituents. To meet this objective, the CVAR TF developed a three-phase study: Phase 1 focusing on understanding the short-term (1 week) variability of commercial cigarette products, Phases 2 and 3 of the study focusing on medium-term (1 year) and long-term (3 years) variability of commercial cigarette products. Results for Phase 1 of the study are reported in this document.